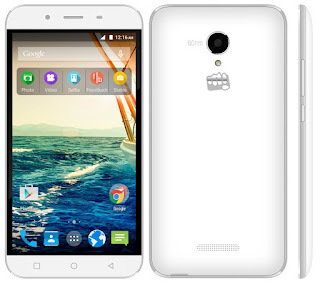 Home / Micromax / Micromax Canvas Doodle 4 Launch hua, Price RS. 9,499 only. Micromax Canvas Doodle 4 Launch hua, Price RS. 9,499 only. Micromax ne 6inch display wala naya Micromax Canvas Doodle 4 budget smartphone ke saath apni Doodle series ka vistar kiya hain. Is phone ki keemat 9,499 Rupaye rakhi gyi hain. Halaki yeh phone Online 9,199 rupaye mein bik raha hain. Is Dual sim phablet mein Corning Gorilla Glass 3 ke saath 6inch qHD (960 x 540 Pixel) IPS display hain. Iske alawa isme 1.3GHz Quad Core Processor, 1GB RAM aur 8GB internal memory hain jise Micro SD card ke jariye 32 GB tak badhaya ja sakta hain. Canvas Doodle 4 Android Lollipop 5.0 par chalta hain aur isme 3000 mAh ki battery hain. Camera ki baat kare to is phablet mein 8 Megapixel ka rear camera aur 2 megapixel ka front camera hain. Connectivity feature ke liye Canvas Doodle 4 mein 3G, Wi-Fi, GPS aur Bluetooth 3.0 hain. Is phablet mein App centre, Chats, Clean Master, Hotstar, News hunt, Quicker, Snapdeal jaise kai apps pahle se hi loaded hain. Micromax Canvas Doodle 4 apne users ko ek rachnatmak platform deta hain. jaha ve khud ko mazedar dhang se pesh kar pate hain.